Susan, these are simply gorgeous samples!! This system is so very versatile. I don’t have any JRS yet, but I sure can see what all the fever is about!! What a great giveaway! I don’t even know where I can get these here in Canada. Thanks for the chance to win! Awesome blog candy!!! I love the ornaments and their adorable cases! Would be a great gift this season! I love your card! Very pretty stamp! Ornament box is so cute! Tag is perfect here! And blog candy is so yummy! Your card is gorgeous! And what delicious looking candy! Holy cow this is some great candy! I love how versatile the stamp sets are! And I love your ornament boxes. So cute! ~Rebecca B. Beautiful samples and I love the colors!!!! Wow! Awesome blog candy! Love your site! Love what you’ve done with this! amazing creations!! WOW! This is an incredible giveaway! Thanks so much for the chance! The cards are so beautiful! Love the color combos! Susan, I love your project, saying its fabulous is an understatement. I’m so glad I’m going on Friday lol, I couldn’t stand the pressure of posting behind you, this takes the cake!!! 🙂 great job, and 4 lucky ladies are going to flip over these prizes. WoW! Hugely FABulous blog candy too!! All I can say is WOW!! I LOVE those cute little ornament gift boxes and how you created tags and a card to match them! I just LOVE the colors! Beautifully done! The blog candy is one eye-poppin’ giveaway! Who wouldn’t want to win one of these packages? I know I would!! TFS!! Oh.My.Goodness!!! What an awesome giveaway! Thanks for the chance to win. I love the tags and card (and those gift boxes and ornaments!). The stickles give just the right accent, I think. Wow, I love your use of “unconventional” colors…just beautiful! Also what a great give away, thank you for the opportunity! Beautiful samples; I love the color scheme! Thank you for the chance to win; I have been eyeing these for awhile and would love the chance to play! What fun projects! JustRite is so versatile and you can create some many different kinds of projects with them! Thanks for these ideas!! What a beautiful card! Thank you for entering my name in the contest. I love the “hot” colors you used for your samples; made a Christmas card for granddaughters using the same last week. Thanks for the chance to win some great supplies, too! Wow–love your work. Thanks for the chance to win. 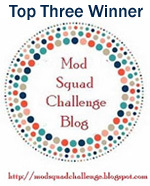 Great blog candy-love the samples! Love the colors you chose to work with…Really need to try the Just Rite Stamper products…THANKS! I just love the snow swirls! Those are so cute! Wow, what a gorgeous set of card and tags! I love them! Can you believe I don’t have ANY of these stamps yet!!! I love what everyone is creating I just havent bought any. I love the cute tags you made with them!!!! Great blog candy, to say the least!! Thank you for your generosity in offering these goodies!! No WAY! I am completely floored by this giveaway. Talk about generous! Thanks for the chance to win! Wow Susan! Your creations are fantastic! 🙂 Thanks for the chance to win these amazing products! Awesome blog candy! I don’t have any of the stampers yet, but would love to try them out. Thanks for the chance to win. WOW! Thanks for the chance to win some awesome blog candy! Love the tags you’ve made! I love the just rite and flourishes products. Your samples are very helpful – I need all the ideas I can get since I do much better at CASEing than at coming up with my own ideas. Thanks for the chance to win too! Oh Susan, your tags are delightful! So professional looking. Don’t you just love Just Rite products? I would sure love to win any of these glorious sets. Such generosity! Count me in! I’ve always wanted to try the Just Right stuff but not sure where to get it here in Canada. Thanks for the chance! Fabulous Projects! You’re so creative! Wow, they are all beautiful. I just discovered these stamps today, love the versatility of them. Oh, how I would love to win some. What wonderful blog candy. Thanks for the opportunity to try and win. Wow what an awesome give away! It’s my BD today so I hope I win – this would make an awesome BD present!!! What an amazing giveaway!! Love your projects…the ornaments are way cute! 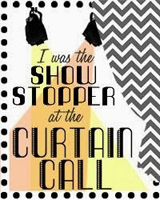 WOw… I love your projects and would LOVE LOVE LOVE to win and be a justRite stamper! Wow – Your ornament box tags and card are absolutely beautiful. My oldest kid would love that green one!!! lol Oh and the blog candy is totally unbelievable. 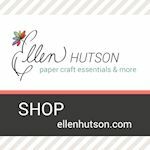 Gorgeous cards and projects! I’ve been wanting to try out all the cool tools from JustRite! Very cool ideas! Thanks for a chance at some super cool and useful goodies! wow–sure hope i am a lucky winner, thanks a chance at these great products! I would love to win this candy! I have been dying to try this system but the budget has been a little thin this year. What an awesome goodie you’re giving someone! Thank you so much for the chance to win. WOW – what a great giveaway!!! Love what you did on the projects with these!!! Adorable little gift boxes and amazing prizes!! This is a great giveaway. Your projects are so pretty! Hope I win! Thanks for the chance! I absolutely love JustRite products, and your use of them is great inspiration. What an awesome blog candy giveaway this is. Please enter me into the drawing. Thanks for the chance. What a great giveaway! I love the JustRite products and would love to win some! Thanks for the chance! WOW! You almost make snow look fun again! Thanks for the beautiful samples. Love your card and the gift boxes. They are all adorable. The colors are perfect and the bling adds that special something, and those tags, don’t get me started…..Great job! What a wonderful ensemble you’ve created! Love the bright colors and the holiday sparkle! So terrific! I would be so tickled pink to win (or green with envy of the winner, LOL) one of these fabulous stampers! I’ve been watching the JR blog and seeing lots of gorgeous creations and would love to have one myself! Thanks for the chance! Oh my gosh! I LOVE this giveaway! I’ve been wanting to get a JustRite set. Thank you for offering them. I truly enjoy visiting your blog and seeing all of your beautiful creations. They are so inspiring. LOVE, LOVE, LOVE the samples. What great Blog Candy! I’ve been wanting some new toys to play and these would be so great! Thanks for such an inspirational and fun blog! Oh my word! I love Just Rite! These are some super generous giveaways! What a great giveaway. Thank you for this opportunity. OH, I just ordered my first sets of JR stamps today. I’m so excited to find your blog! You’ve got some great projects and blog candy. I can’t wait to get mine and start playing. I’m sure I’ve started a whole nother addiction. What an awesome give away! thanks for sharing and the chance to win! Oh I’d love to win one of those! Wonderful blog, so much inspiration here. Beautiful card and an awesome ornament box. Thank you for the chance to win some wonderful prizes. Wow, really cool cards & stuff, and great blog candy. So glad I popped over here from Markie’s Mom’s blog. Thanks for the chance to win. Oh my gosh! What generous packages! How kind! Lovely samples, too! What great packages. I love the samples you made as well. Thanks for the chance to win! 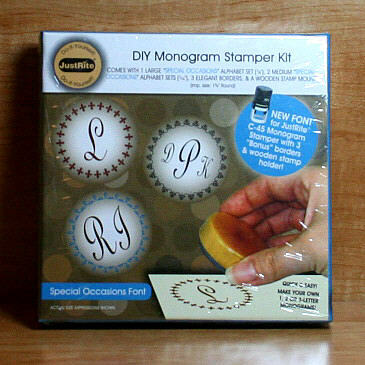 How exciting – I would love to have a monogram stamp!! Thanks for sharing!! Your gift set is gorgeous! I love the color scheme. 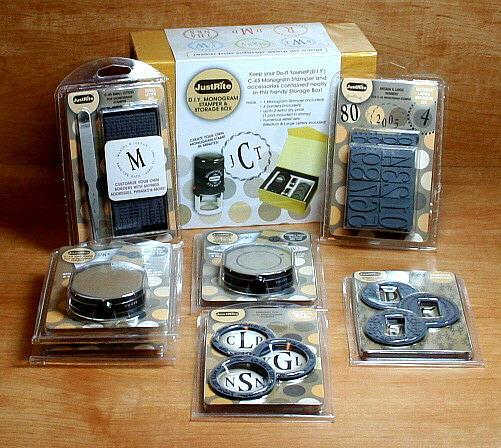 Great give away – I’ve been trying to decide which Just Rite stampers to get!! Thanks for the chance. Wow, I’m so glad someone linked to your site! Beautiful work! The blog candy is exciting too! Thanks for the chance to win! Wow! Super packages! Hope I win some. Wonderful cards! Wow what a great give-away. Love all the items. Currently I don’t have any Just Right and this would be great for starters!! My goodness! What a fabulous give-away! Hope Santa comes early to my house w/one of these packages! thank you so much for the chance to win one of these super generous prize packages. Happy Thanksgiving! Wow, how cool is this candy! Thanks for giving us a chance to win such wonderful treats. What a great week with Flourishes! Thanks for all the ideas and a chance at the lovely candy! Awesome projects! I ordered my first just rite stamps this weekend. I am soooo looking forward to getting them!!!!! Your work is just out of this world! Would love to win as we can’t get anything like that here in Canada. Thanks for the chance to win! What fantastic blog candy ! And what beeautiful cards. A big thank you to Justrite for a chance to win these awesome products. OH, wouldn’t that be fun….Would love to win any of the goodies. The Just Rite products seem so versitle and I will be jumping in within the next few weeks. The projects I’ve seen made with the stampers look so wonderful. Ooooh! Love the cute ornaments…this is a great give-away! Thanks for the chance to win!! What fantastic blog candy! I really liked the fun colors you used on your projects. Thanks for the opportunity to create with JustRite stamper sets. Just in time for Christmas! Beautiful ensemble Susan, and I love your colour choices…so bright and beautiful and sparkling! Your projects are wonderful and so is the candy! Wow! to both! Wow! This giveaway is JUST downRITE awesome!!!! I love the colors you chose for the card and candle decorations. Absolutely beautiful work! Love what I see being done with the Just Rite stuff, just not sure where to begin, but I think I really need to give it a try. Thanks so much for great candy! What a lovely set of tagged gifts. What a nicer way to get my hands on some Just Rite toys. Wow! Love the projects and the prizes are awesome!! Fantastic blog candy. I am enamored with Just Rite and love to see the fantastic ideas pictured. Thanks so much for such great candy. WOW! What a generous giveaway. Thanks for the chance to win. I love the colors of the ornaments and cards. 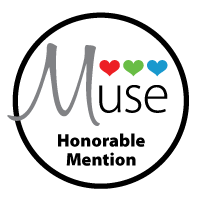 And wow – what blog candy! I just got my first JustRite stampers (wooden III) and absolutely love them. Thanks for the chance to win more! How adorable! I love that “clean” look of your card with the jewel-tone accents. And who wouldn’t want to win some of those JustRite sets — wow! I don’t have any yet, so maybe maybe maybe it’ll be my lucky day! Really???? What great candy. Haven’t found JustRite anywhere here, so that would be WONDERFUL. Thanks for the chance. I just LOVE the tags! I wanna win! Somebody has to so it may as well be me, right? What a great opportunity for some really great blog candy! Wow! Gorgeous card & ornaments. Wouldn’t this be the greatest Christmas surprise gift ever!! Thx for the opportunity to win. I totally love the colors you chose for your card. Thanks for the chance to win. Thanks for the chance, nice work! Enjoy getting your e-mails with the great ideas for cards. Don’t have any kind of monogram set but can sure see how versatile they would be. Thanks for the chance to win. Each package looks great…I’ll take one of each thank you – lol! Thanks for the chance to win such great sets. 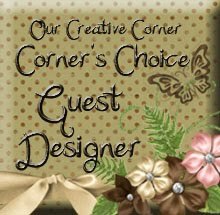 I enjoy your blog and all your cards and projects. Happy Thanksgiving! Oh, I would love any one of these! I’ve been so torn about which one would be the most versatile that I no longer care—-I just want to get my hands on one and try it out! Oh I just love the JustRite stamps. I have some sets already. But you never can have enough of them. Your cards are so cute and I love your blog. Thanks for the chance to win these great sets. OMG! What a fabulous way to start the Christmas holidays. Justrite is da bomb! What awesome blog candy and samples. Thanks for the chance to win some goodies. What a great assortment of blog candy! I sure hope I’m lucky enough to win one of them! Your ornament boxes are just too cute! Beautiful samples ! Would love to win any one of these Justrite packages , thanks for a chance ! I will be keeping my fingers crossed and hope I win ! I just looked at these kits online to order myself a Christmas gift…but, heck, blog candy is an even better Christmas gift!! LOL! Susan, thank you for all your terrific project ideas. You’re so talented. Thanks, too, for the chance to win these great sets. I love your blog. I’ve wanted one of these sets ever since I first saw them. Seeing the inspiring projects you have made with them makes me want them even more. I read your blog everday a love what you do. Keep them coming. I love the cool background you created with that little stamp from Sleigh Ride. How generous of you to give away all that Just Rite stuff! wow! what a great giveaway! and great products also!!!! I love your blog! You always have the greatest projects. This is fantastic blog candy. I would love to try some of these stampers out.Thank you for the chance to win! Happy Thanksgiving! I love what you have done! Great. This is such terrific blog candy and I appreciate that you are doing it. Thank you. WOW!! I love all of your projects! Beautiful. Such a fabulous giveaway!! Thanks for a chance! I have so been drooling over these !! They seem so easy to make something beautiful, so simply! And all of your samples are gorgeous! Love those ornaments too! Thank you for the chance!! Pick me, please! What a sweeet early Christmas gift! Love your samples! WoW this is some awesome candy! I would love to be a proud owner of one of these. I don’t own any YET (hint hint), but it is on my list. This would be a great way to start the Christmas season off. Thanks for a chance. Love the ornament and that sheer ribbon is so stunning it makes your projects really pop! Beautiful cards Susan. I love the ornaments and candles too. Great projects and great candy! Love your blog, thanks for sharing all your terrific ideas! Well, I just got my first Justrite order in and didn’t order the right size classic circle stamper! LOL Thanks for the great ideas and a chance at blog candy! 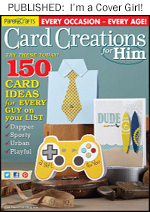 Ooh Ahh… The Just Rite items would look mighty nice on my craft table and sure help me out with my card ministry. Thanks for the chance to have one travel my way! Gorgeous projects Susan!!! Those colours just just pop and caught my eye immediately!!! TFS! What beautiful projects you’ve made, and what a fabulous assortment of “candy”! Thank you for the chance to win! Ooooohhh! 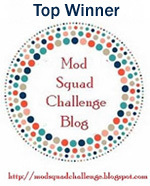 I would LOVE to win this blog candy! Awesome! Oh Susan, what awesome blog candy! I would love to win!! Gorgeous ornaments with Just Rite decorated boxes! AWESOME cards too. Very cute projects, I would have to say the ornaments are just darling though, LOVE them!! I love the pink and green combo for the card and gift tags. It is really fun for the holidays. Also, what a great giveaway. I have only recently discovered Flourishes and I love their stamp sets. 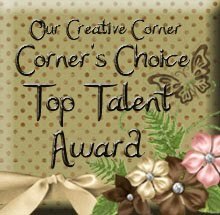 Wow, i would love to win these, i have seen so many beautiful cards made using them, what great blog candy. I love the color combo you used. I tried that yesterday, and my family really loved it. So, I am half way through with our family christmas cards. Hi, I love my justrite monogram stamps. I would love to win more! Everyone in the US – have a great Thanksgiving! OMG! What an awesome give-away! Thank you so much! What an awesome Christmas gift this would be for the winner! I have seen so many gorgeous things done with these stamps! Thank you for the chance to win! WOW!! What a HUGE give away! thanks to you, and Flourishes for this awesome opportunity. Wow! You have so beautiful creations. Thanks so much for sharing and giving us the opportunity to win some awesome prizes. What a marvelous giveaway. Thanks for your generosity and sharing your beautiful art. Susan, please don’t enter me to win the blog candy, I just wanted to stop by and say how absolutely gorgeous this ensemble is, just fabulous! Your card for Beate’s challenge is absolutely gorgeous. Thanks for the chance at a great giveaway! OHH wow what an awesome holiday give away! great holiday ideas too! I love your card and tags! How cute!!! Great ensemble and a very generous give-away! 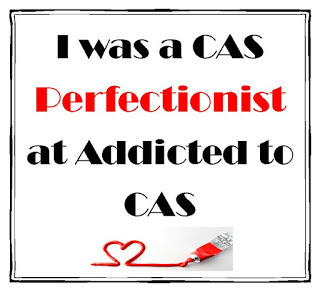 I have some blog candy, too, if you want to check it out. It’s on my blog at http://hoosierstamper.blogspot.com and thank you for the opportunity to enter to win this. Love the card, and all the goodies look wonderful! This is THE best blog candy ever! Thanks for the chance to win. Amazing giveaway. I have just started using JustRite products and love them. Have a memorable Thanksgiving. Oooooh, yummy! It would be great to round off my collection with one of these! Thank You Susan and Flourishes! Oh, Wow!!! I can’t believe you’re giving this absolutely terrific blog candy! I was just drooling over some of the selections on the JustRite web site yesterday trying to decide which items I wanted to start with first. 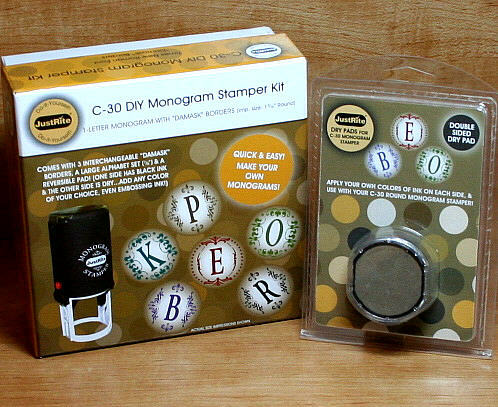 Thank you for the opportunity to win one of these fabulous stamper kits! What a great blog give-away. The tags on your designs really catch your attention. The JustRite stamps recently caught my eye. Didn’t realize you could do so much with them. I haven’t used Just Rite products yet. Love seeing all the samples. Thanks for the opportunity to win! Wish itd snow here in South Australia 😉 Help with our water shortage! I love the non traditional colors – I didn’t need your smiley to make me smile. Thanks for sharing the wonderful ideas you come up with. Thanks for sharing your wonderful creations. I’ve been oogling JustRite products for awhile, I’d love to give them a nice home. Oh my! I have been thinking of buying these for awhile. Maybe I won’t have to dream anymore…. Thanks for the chance to win! Awesome blog candy! Just a BIG WOW….how awesome it that. With my puter being down and doing email on someone elses I hope I didn’t miss this . Ty for sharing. OMG! Great blog candy!!!! Please enter me in your drawing. Maybe I’ll be getting a Christmas present early this year. Thanks for the chance. wow! so much great stuff! thanks for the opportunity to win! A perfect blog candy to end the year. This is something I’ve been eyeballing for some time now and would really love a chance to work with it. Thanks for sharing and caring. What a wonderful lot of candy!! And how generous of Flourishes to do this!!! Love what you’ve done and I’m looking forward to more! WOW! Such amazing creations, so beautiful and thanks for the chance to win! Sorry I’ve been slacking, just haven’t geen feeling well. Off to the doc this afternoon, again! Wow, you’ve been busy. Thanks for showing different ways the Just Rite products can be used. Thanks for the chance to win. Thanks for a wonderful opportunity and kudos to you for your beautiful work. Who doesn’t just love Just Rite? My birthday is Saturday and I’m hoping to win the present of my dreams! What awesome blogcandy. Your card and tree ornaments are just grand. Thanks for a great opportunity. WOW! What fantastic blog candy you have! Love your work! Thanks for the inspiration and the chance to win something new. Beautiful card! I love the colors of the containers…which I thought were candles at first glance. LOL! What great packages! The packages for the ornaments are a gift in themselves. Of course, I would also love to win a “package” of the JustRite products. Thanks so much for the generous candy. Oooh I’ve been wanting to use these forever…would LOVE to win them!! Thanks for the chance! I love the pink and green colors of your card. Great combo. This giveaway is great too! Thanks for the chance. Okay, count me in the running for one of these fabulous “candies!” Anyone of them will do! What awesome blog candy you’re giving away! I have a couple of sets from Just Rite, but definitely want more. Thanks so much for the chance to win! Wow! You are so talented, love your stuff. Thanks for the chance to win an awesome gift! What wonderful “candy”. Thanks!!! Happy Thanksgiving! Beautiful color and great idea…I love them! I can’t wait to order some JR sets and play too. Thanks for the chance to win a fabulous gift! Wow…what an awesome and generous blog candy. I have been eyeing these JustRite sets for a whilte now.. The blog candy is amazing!!! Thanks for the chance to win and for sharing your ideas with us! Wow, these are just wonderful. I love the colors and the images!! What lovely bright colours. I’ve also been decorating candles, and wondering when I can add some JustRite to my stamping supplies. Wow, to win this would be Just Rite that’s for sure:-) Thanks for the opportunity Susan. Thanks for sharing all your beautiful work. This is an awesome give away and would love to win. I love your website. I always come away inspired. I just put in an order for my first just rite stamps but I can always use more!! This is great. Awseome ideas and a chance to win JR products truly xmas has come early. The ornaments are awesome. I just love the colors. Great blog candy! thanks for the opportunity to win. Wow, what an amazing blog candy offer! 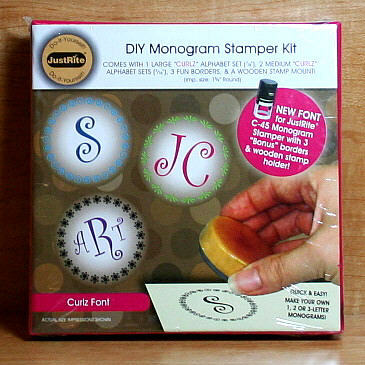 LOVE the Just Rite stamps, and I’ve been eyeing those monogram and word stampers for over a year! Any of these assortments would be fantastic! What a great stamp set for cards and gift tags. Thanks for offering this! Wow! I would be delirious if I won some Just Rite Stamps… I have been drooling over them for quite a while! Woohoo, please enter my name for a chance to win Just Rite stamps. Love the cards you created. What beautiful creations you have made! I am having a case of “creativity envy”! Thanks for the chance to enter the candy! Beautiful cards! This is the best post about JustRite stamps…I’ve been trying to figure out the difference between all the sets trying to decide what I’d really like/need. This is great! I’m eyeing the DIY wood block method. Thanks so much for doing this! And I’d love to win something JustRite! Wow! Love your card and candles! Thanks for the chance to win some new goodies. I love the JustRite Stampers sets. Thanks for offering such great blog candy. Love your cards! I jsut found your website and glad i did. Oh my, I would love to win someJustRite products. Thanks for the chance. Wow, you made some amazing cards. Thanks for the chance to win! The cards you made are truly amazing! Thanks for the chance to win some blog candy. challenge card, it looks so inviting. Have a great day. Oh I just love JustRite stamps!! Thanks for a chance to win some!!! Wow! What fun blog candy! Beautiful card! You’ve got a great site! Love it! I’ve been wanting one of those sets for the longest time, but have to watch my budget. Happy Thanksgiving! Wow, this blogcandy is awesome. I’ve never heard of Flourishes before but am happy to have stumbled upon your blog. Happy Thanksgiving! Thanks so much! I love love love the ornaments! Great site! I love all your projects, and the non-traditional colours are beautiful. Also love the way you used the small stamp from Sleigh-ride as the background design, very smart! Justrite is so generous, what a great addition to anyones stamping collection! That’s amazing blogcandy. Here’s hoping that I am chosen. Have a Happy Thanksgiving. I love what you did with these products! Everything is just so gorgeous! Here’s hoping Christmas may come early at my house and my gift will be some “blog candy”!! Thank you for a great site and the opportunity to learn new techniques using new supplies. Very pretty card! I haven’t tried the Just Rite stamps yet. I think I will have to check them out! Thanks for the chance at winning! Wow, love the card and thank you so much for this chance to win some goodies…they look great :)! I have just recently found these wonderful stamps! I am amazed at how many things you can do with them. Thanks for the chance to win! Wow!!! wonderful candy!!! Love the sample cards and thanks for the chance to win. Thanks for the great blog candy! Hope I win. Gorgeous cards. Thanks for the chance to win you fab candy. Wow! What great blog candy. And you card is absolutely beautiful!! Beautiful samples. And what awesome blog candy….to win would be icing on the cake. I love my Just Rite stampers. What a wonderful opportunity to win some JUSTRITE supplies. I would be so blessed to be a winner! oooh how amazing. Your post are wonderful inspirations. What fun colors for Christmas!!! I get my Mom one of those ornaments every year, now I can make it even nicer this year! Thanks for the idea!!! LOVE your samples…so elegant! Thank you for the opportunity to win some JustRite stamps. I’ve seen so many awesome projects created with them, would love to try them out for myself! Wow! what a great blog candy offering! I have been wanting to try these stamps but have not had the nerve to order them 🙂 I may have to have them all…….Thanks for the chance to win. Wow! Awesome blog candy. Love your card too. I agree awesome blog candy!! Love your cards and thanks for all the inspiration!! I can’t beleive the give away….it’s awesome. TFS!!! Your card is awesome too. Wow! What a fabulous give away. I don’t have any Just Rite stampers, but they seem to be all the rage right now! 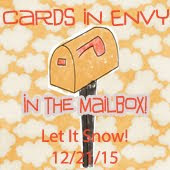 Love your “Snow” card! WOW – what great blog candy! I have been trying to decide if I really *need* some JustRite stuff or if I just really WANT it!? LOL Have a fabulous week! Love your card and your ornament! What great blog candy. Happy Thanksgiving from a Canadian friend. God bless. LOVE your card!!! FABULOUS color combo!! How generous of you to offer such a great giveaway! I love the JustRite products but haven’t purchased any of them yet. Hopefully I’ll win it before I can buy it! What a great giveaway! I have the Just Rite Stampers on my Christmas list, so I would be excited to win any of the sets. Beautiful Tags!! I don’t own any Justrite stamps yet, so thank you for the opportunity to win. What an awesome giveaway!! Thanks for this chance to win! Your work is gorgeous. I don’t own any of the JustRite products and want to thank you gals for giving us the chance to win some. Lovely cards. wow! what a blog candy. Thanks for the chance to win. Love your tags. Thanks for the chance to win this blog candy. Gorgeous projects. My wish list for Just Rite products is growing and growing – they offer so many beautiful sets and accessories. Thank you for this opportunity. What beautiful things you have made. And what wonderful gifts. I have been wanting a monogram set for a long time, but budget wouldn’t allow. Thanks for the opportunity to win. Just starting to discover all the wonderful things that can be created using the Just Rite Stampers…… oh my!! I love how you used the stamps.. there are sooo many things you can do with them! They are on my Christmas list, for sure! What great blog Candy. I’ve been wanting some “Just Rite” stamps. It would be nice to win some but if I don’t win any, at least they will be on sale! Thanks for the chance. I just discovered just rite stamps and would love to own some. The projects you show make me want them even more. Thanks for the chance to win. Your “Let It Snow” ornaments are adorable! Great blog candy, too… Did you buy the other ornaments already decorated, or did you make them? If the latter, are you going to share your techniques? Too cute! Oooooo, been thinking about these stamps!! Thanks to you and JustRight for the great opportunity. Awesome versatility with these!! Thanks for a chance at winning. Whoa! Amazing card and blog candy! This is such an awesome offer. Thanks for sharing everything! wow that is some awesome Blog candy!!! What a generous giveaway!! Thank you so much!! Wow, this is awesome! Love your samples! Great tags and awesome candy! Thanks for the opportunity. Love your examples. And love the chance to win some just right products. I’ve been putting lots of it on my wish list!!! Really like both the card and tags. Would love to win some candy also! I admit that trying to figure out what to order to get going with the Just Rite stuff has kept me from diving in – winning a kit would be perfect!!! Then I wouldn’t have to think at all – just create. Love, love, love your blog too! Your cards and projects are so inspirational and I especially love the brown tree/pinecone Christmas card is my favorite holiday color scheme. Your card is great….I love the colors you used. 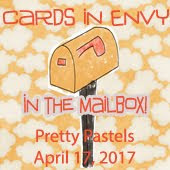 The blog candy sounds wonderful..I think the give away is fabulous. thanks for sharing. My word- this is some amazing blog candy! Thank you so much for the chance to win. It would be a blessing to be picked. Oh my gosh. I thought those were candles, but those boxes are even better. And I love how you put the stickles on the card – perfect. Thanks! I would love to win one of these prizes, but have a fear that being towards the bottom of your entries will not bring luck to my side. Love your card….very cheery & merry. TFS! Awesome giveaway! Love your work! Very cute projects and an awesome giveaway! What a brilliant product.Soversatile I can just imagine all the fun projects I could do with this blog candy.It would really feel like holiday time if I won this! I just love your candles. What an awesome prize!